In a display of oriental exuberance, this delightful chandelier comprises of sweeping arms of mock bamboo finished in Bronze Patina – neatly tied together at its centre with golden detailing. Optional glasses are available and the chandelier is versatile, all three versions are available as a duo-mount being either chain-held or semi-flush to the ceiling. 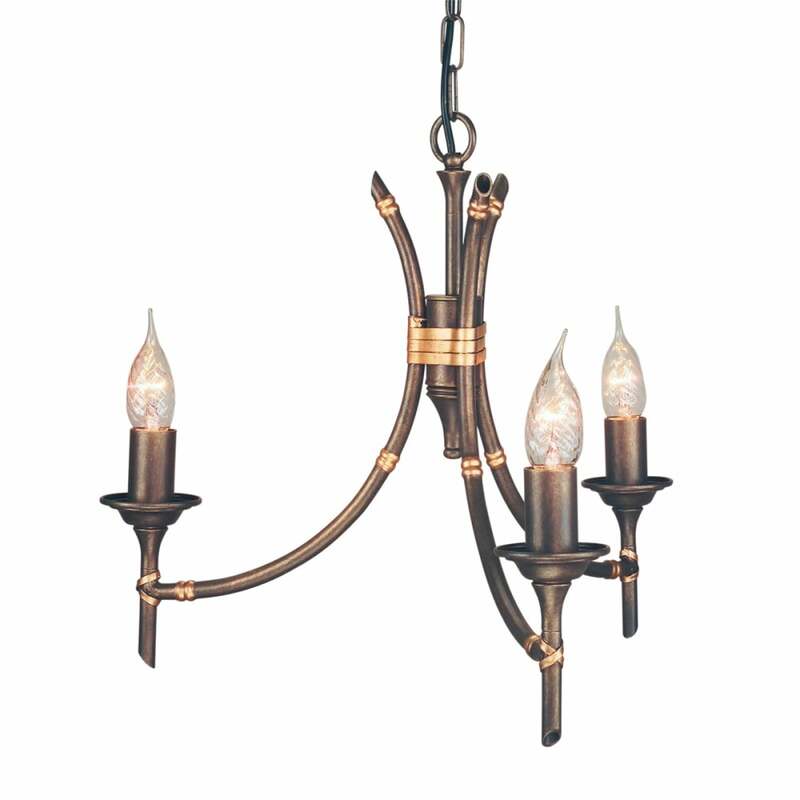 3, 5 and 8 light chandeliers are available alongside single and double wall light styles. View All Elstead Lighting for more information on Bamboo or view the complete Bamboo Collection.